“If you are under 30, I am so jealous of you. The world is open for you and it is there for the taking”. 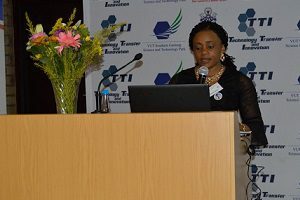 These were the words shared by VUT’s Deputy Vice-Chancellor: Academic and Research, Professor Kuzvinetsa Dzvimbo at the VUT Science and Technology Park (SGSTP) on 30 June as we celebrated World Intellectual Property Day. Intellectual property (IP) refers to creations of the mind, such as inventions; literary and artistic works; designs; and symbols, names and images used in commerce. 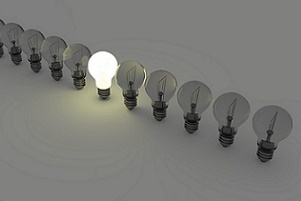 IP system aims to foster an environment in which creativity and innovation can flourish. VUT SGSTP takes pride in helping people to be able to protect their ideas and enable them to earn recognition or financial benefit from what they invent or create. Mr Jan Jooste: Director Innovations at VUT SGSTP was the programme director of the day. Prof Dzvimbo delivered the welcome address and was pleased to be a part of a special day were individuals were given a platform to learn how to protect their ideas. A video clip about the importance of protecting your idea and a theatre play by a company named McubedH from Sharpeville was shared to give people a true version of what happens when people share their ideas without patenting them. Ms Martha Ikome: IP Officer also added on with a presentation that fully explained and defined processes involved and the benefits of patenting. Mr Pontsho Mampuru, Ms Mantwa Tshabalala, and Tshimangadzo Munyai from the National Intellectual Property Management Office (NIPMO) gave a keynote address. Their presentation was on Innovation Impacting Lives. Dr Joseph Molete, Executive Director: VUT SGSTP focused his presentation on strategy while Mr Heinrich van der Merwe, the Operations Manager at the VUT SGSTP closed off the programme by acknowledging everyone who graced the occasion, leading the guests to the lab of Professor Abdulkadir Egal: Director Human Science for the launch of the Extruder machine.